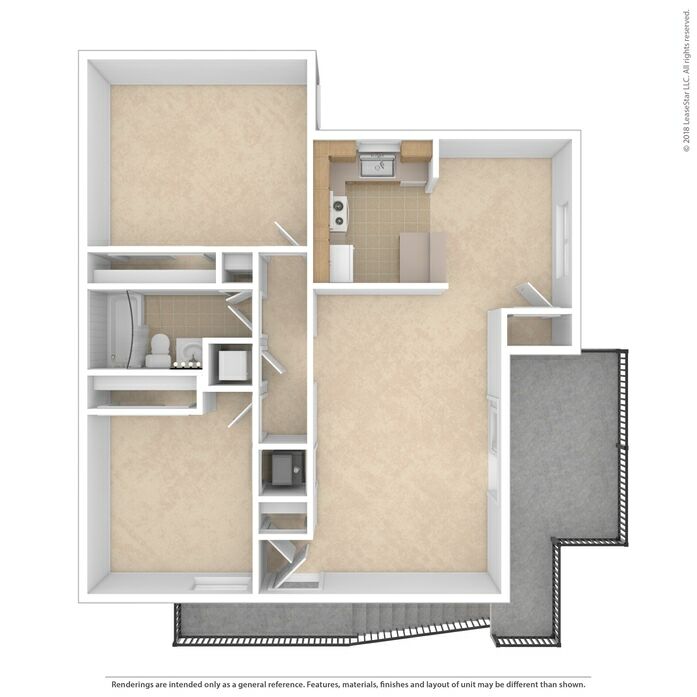 Your new residence has been built to exacting standards with several attractive features and creature comforts. 1 bedroom/1 bath. 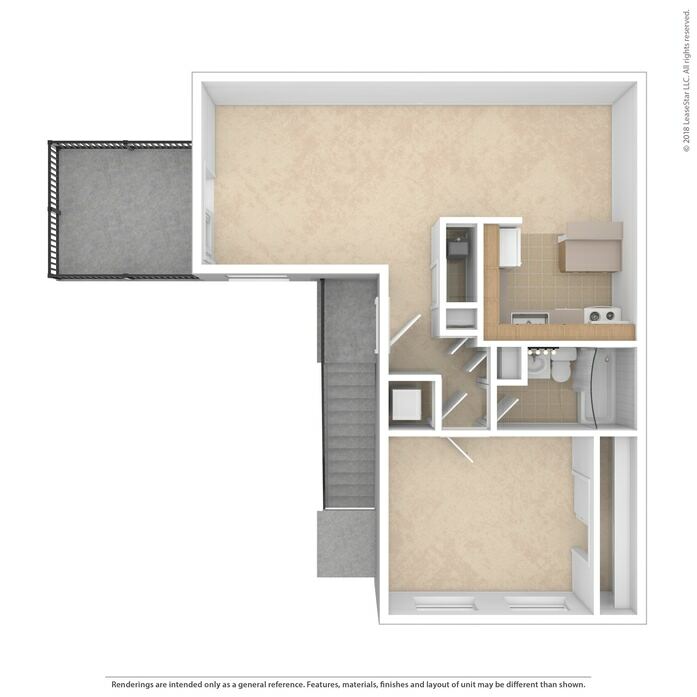 Ground floor or upstairs options. 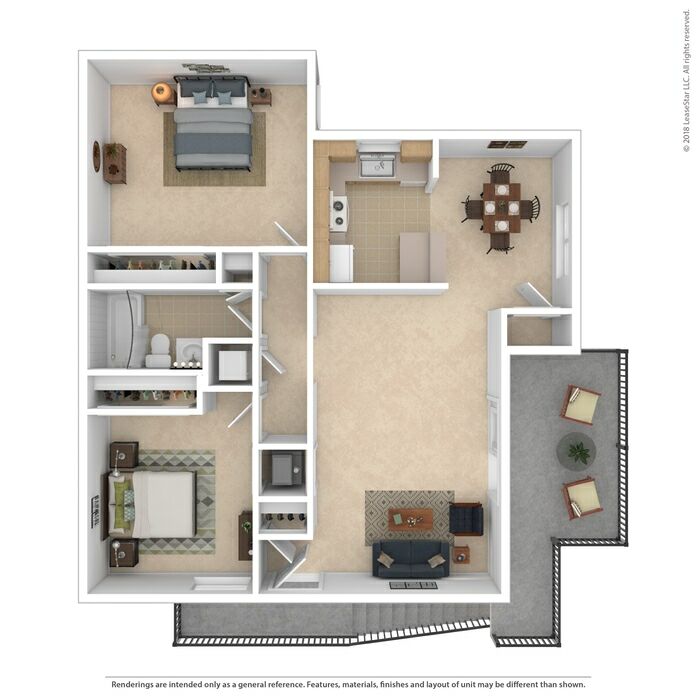 Accommodating, newly remodeled one bedroom with a private entrances and an inviting patio or balcony. Front door mail delivery for added convenience. 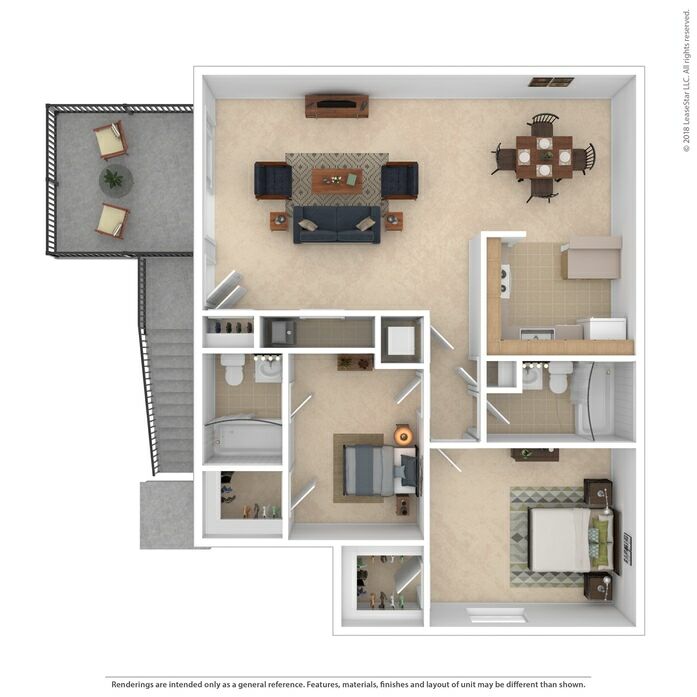 Spacious and inviting living areas feature tray ceilings and ceiling fans. 2 bedroom/1 bath. Every location has two outdoor spaces. 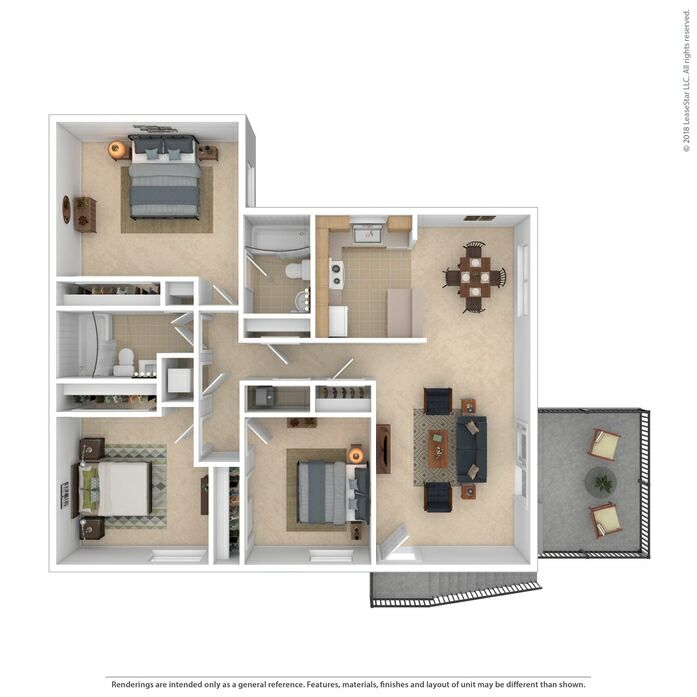 This versatile design provides a hall bath, two large bedrooms and ample living space perfect for entertaining. Tasteful details include tray ceilings and overhead fans in the living area. 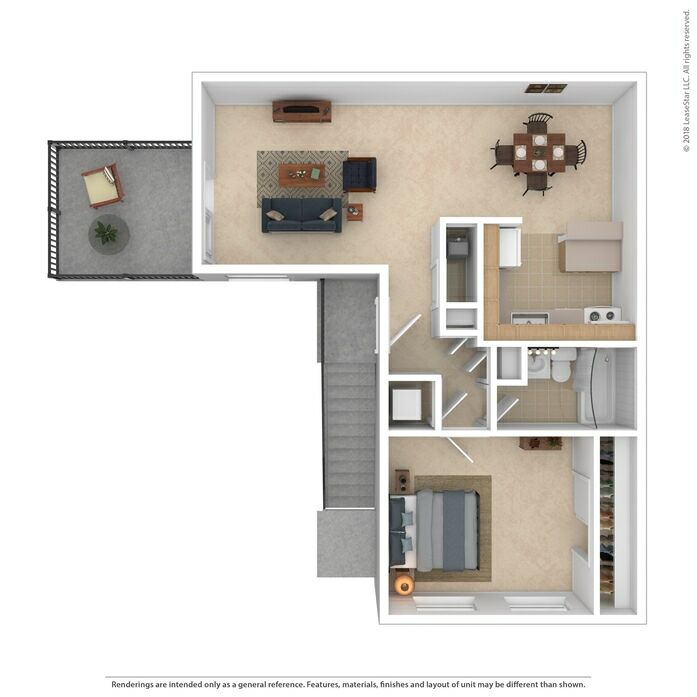 A foyer closet, linen closet and pantry ensure you'll have plenty of room for storage. 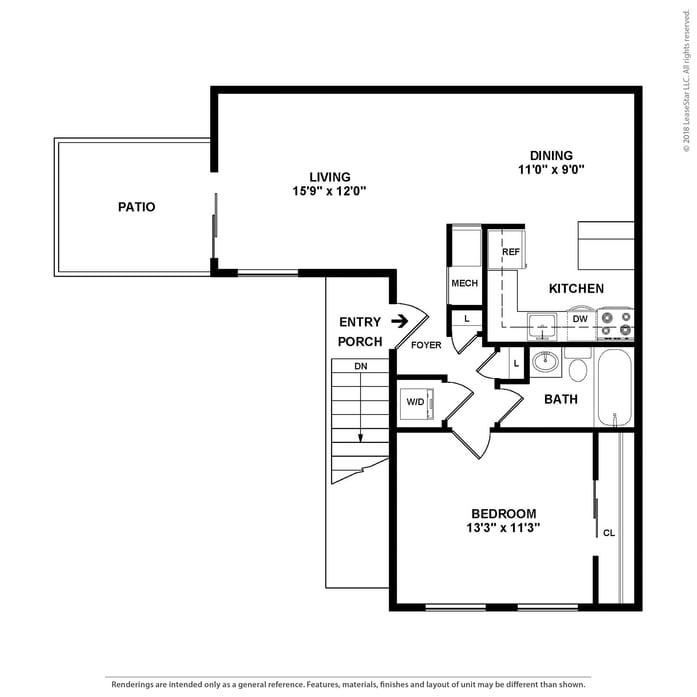 If you enjoy the outdoors, you'll love the double patios or balconies! Front door mail delivery for convenience. 2 bedroom/1.5 bath. Newly remodeled. 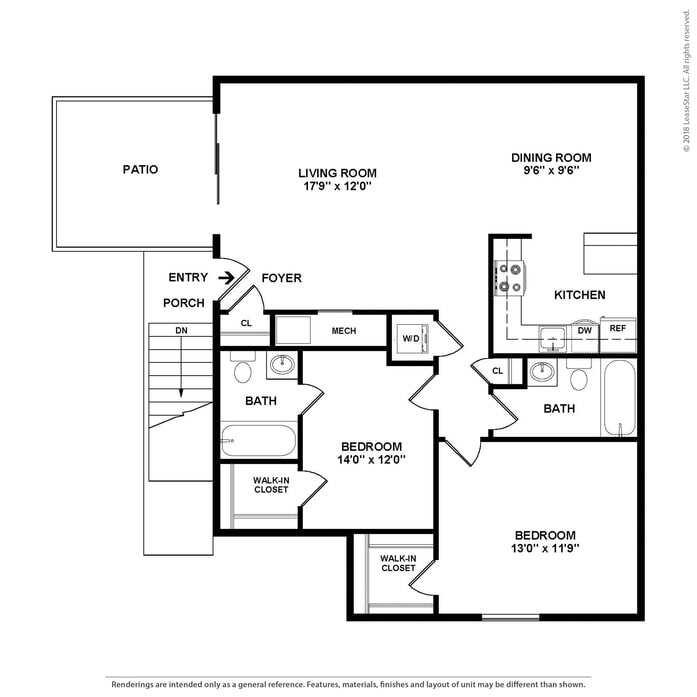 The open concept living and dining room is accented with tray ceilings and a ceiling fan. 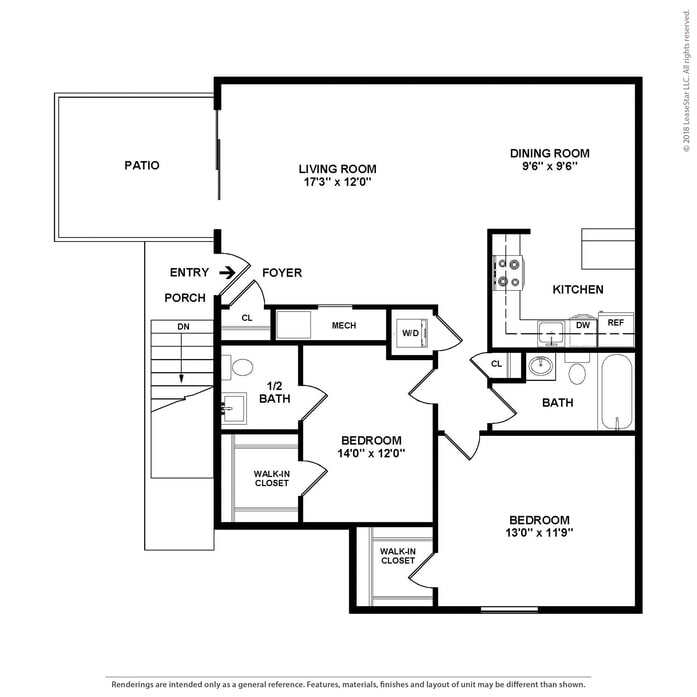 The beautiful kitchen has a space-saver microwave and is appointed with unexpected conveniences like a bread drawer and cookie sheet storage. Two generous bedrooms are complemented by large all season closets. 2 bedroom/2 bath. Beautifully renovated!. 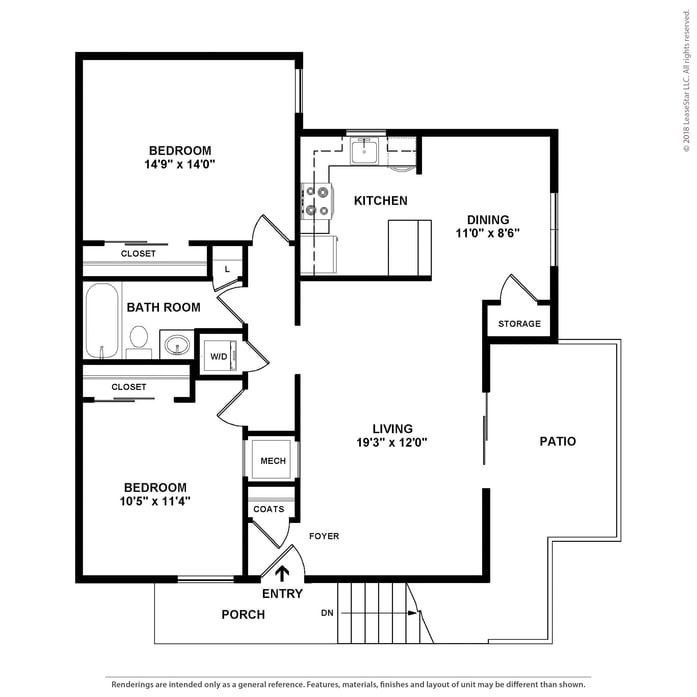 With two master-sized bedrooms and two full baths, this floorplan provides a range of living options. 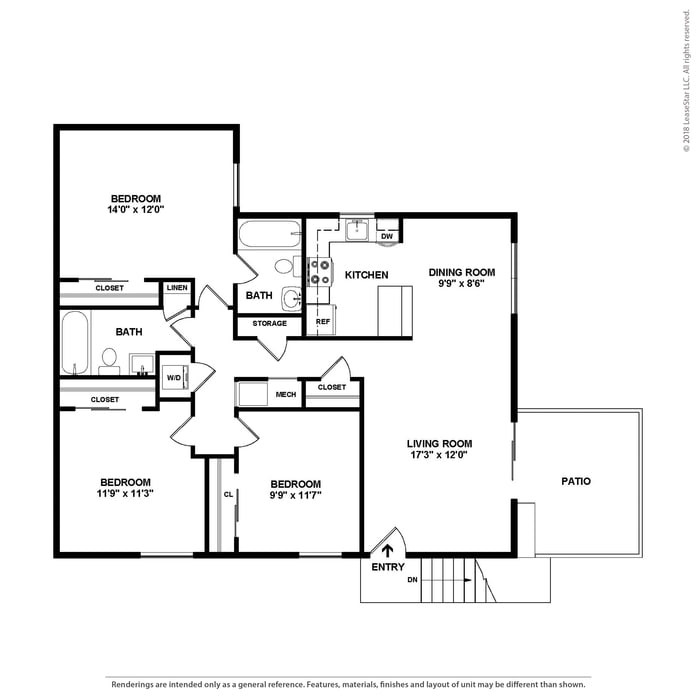 An oversized open-concept living and dining room is complemented with tray ceilings. 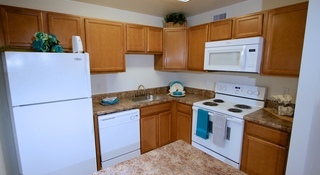 The newly remodeled kitchen features space-saver microwaves and rich cabinetry. 3 bedroom/2 bath. Beautifully remodeled. Limited availability. 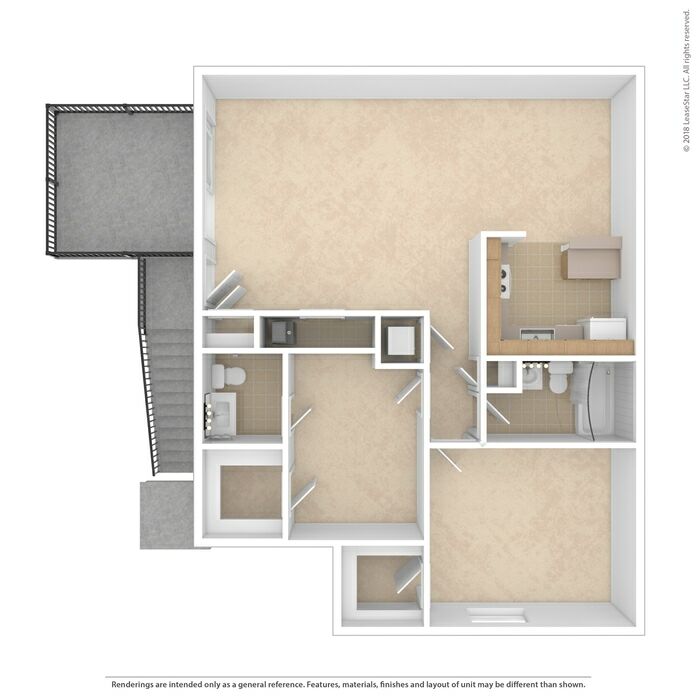 Thoughtfully designed, the three bedroom has the convenience of two full baths and an abundance of closet space throughout. The master bedroom and en-suite bath provide privacy while the open concept living areas and oversized windows give an airy feel. 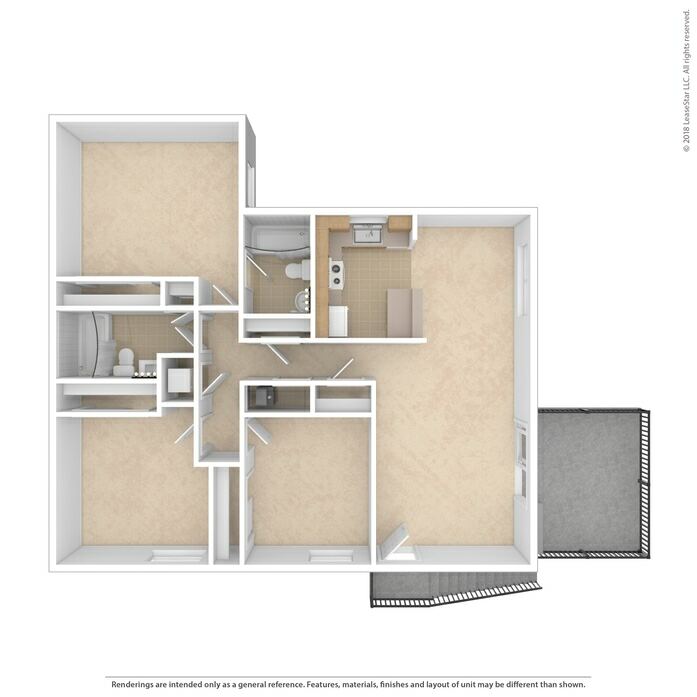 Well-appointed kitchens include a built in microwave, designer finishes,and a view from the window above the sink.